I am a software engineer by trade and I am always looking for new opportunities. Blogging has become a way for me to demonstrate the skills that I have as a developer. 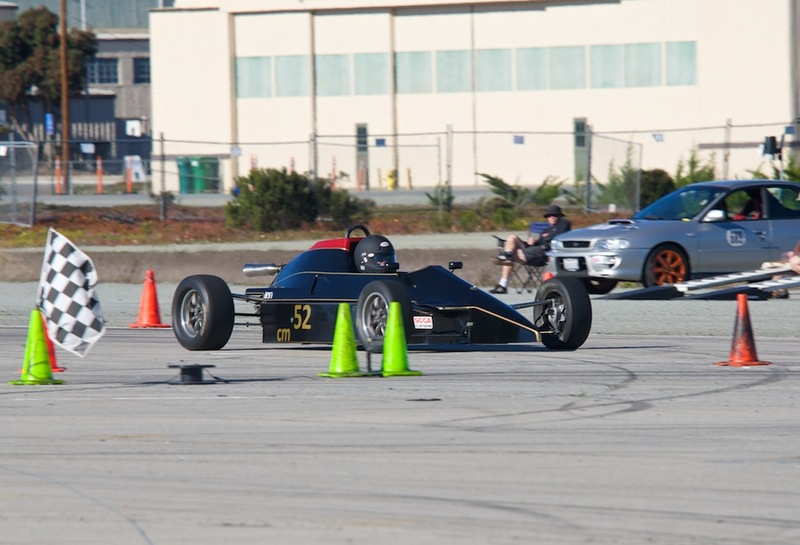 While my day job is working as a Software Engineer in silicon valley, I like to go racing on the weekends. I have been a member of the SCCA since 2000, and I have been auto crossing with the SCCA since I joined. Autocrossing is a time trial styled event. Using a large paved area (parking lot or airport paddock) we setup a course and cars are assigned to a class depending on the car and what you have done to modify it. It’s a very competitive sport that builds up your driving skills using your daily driver in most cases. It is a very cheap form of racing. I was racing my 2004 Lancer Evolution, a turbocharged AWD car that was the factory base platform used to build rally cars for professional teams. The Evo was a blast to drive, I had modified it quite extensively to the point where it was around 400 horsepower to the wheels, and it kept all of the factory emission equipment in place for legal (but very fast) street driving. I already had the car on a trailer because it was stupid fast on the street. Really I had everything I needed to proceed to the next step and build a track car and destroy the value of the Evo in the process. I had begun the process to build my track car, I bought new rims, and I was ready to pull out the AC and start on some serious weight reduction but decided to wait until after the first autocross event of 2012 to start tearing into the car. The car is a Formula Ford, a spec race car built with a light tubular frame chassis and powered by a 1.6 liter Ford “Kent” engine. This race series has run without any large changes since 1967 when Formula 1 champion Jim Clark put one of these Kent Cortina engines built by Ford into a Formula 2 chassis. The combination is brilliant. The car empty weighs about 900 pounds depending on who built the car. The car with driver is usually in the 1100 pound range. With a horsepower rating of around 110hp, the hp to weight ratio is perfect for great acceleration and fabulous handling. If you want a career as a professional driver, this is the first race car you drive after go karts. Michael Andretti, Jeff Gordon, Arton Senna, Michael Schumacher, and others have all got their starts in this formula. As the formula fords have evolved over the years, you eventually get what’s called an orphan. 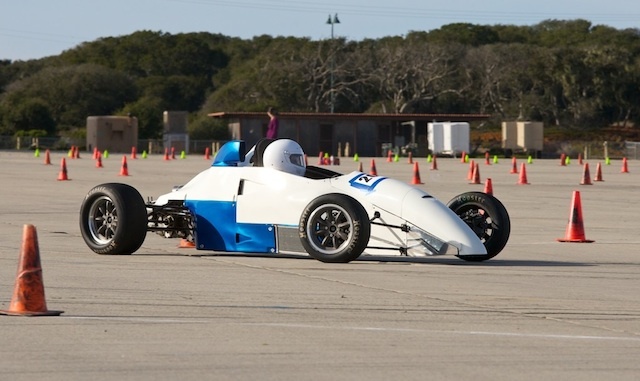 With the 40+ year history of Formula Ford, a historic class has been introduced. But with all classes of these types, there is a cut off date. So there are older cars that may be just out of the historic class, but are too slow to keep up with the modern cars. These are the orphans… They might be too slow to be competitive in road racing, but they are still very competitive auto crossing them. And as a bonus, they are incredibly cheap to run as an autocross car. But no matter, I was hooked. All race prep on the EVO stopped dead in their tracks and I started to get the car ready to sell. I even stopped racing to save money to buy a Formula Ford. After about 6 months, I sold my Lancer Evolution. I still have the page I used to sell it on my blog, you can view it here My 2003 Mitsubishi Lancer Evolution. I still miss driving that car to this day.. 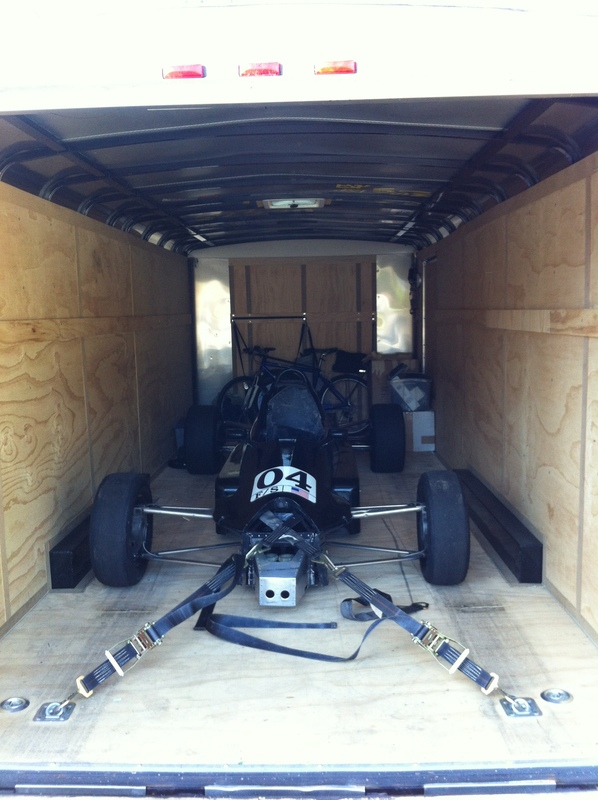 But no matter, I found a Formula Ford off the internet from a forum http://www.apexspeed.com. Apexspeed has everything and anything about the formula ford. The combined knowledge up there really helped figuring out A) what to buy, B) what to look out for. This is entertaining. I have motonerds in my family and I am cheering you on. Cool post! Love the tag line. You might try using bold sentences to highlight as you slip between ideas/topics/adventures. Like section headers in text books. Readers in a hurry may skim the bold print and see a certain section they are interested in and pause to read more? I like long posts, but many readers have short attention spans or are short on time. Love you’re driven. See ya down the road! Thank you for the comments! I do use the bolding, in particular, you want to use the H (header tags) elements to block out your sections. The web crawlers look for that. I hear you about the short attention span. that is a challenge for us “long readers” to come up with content that is wordy enough for us, but short and concise enough to keep others absorbed in your site.